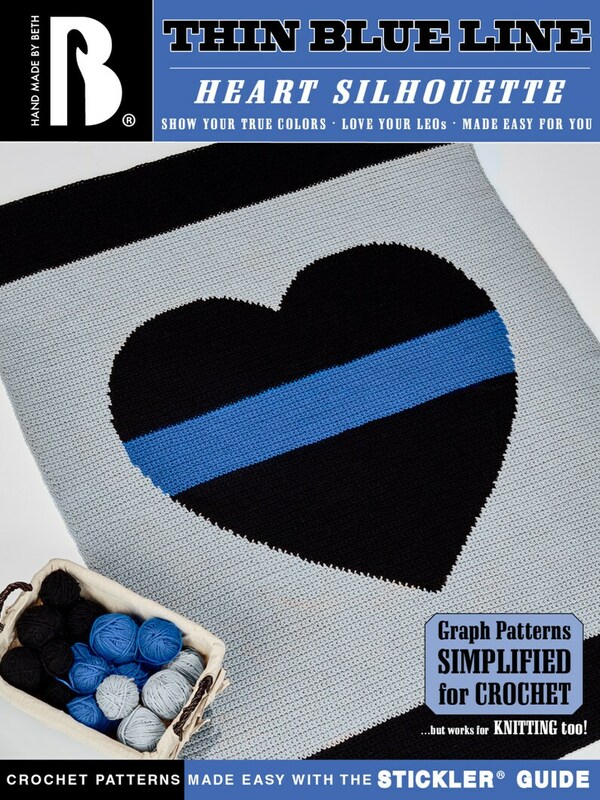 Thin Blue Line Heart Afghan Pattern - fun and easy for crochet OR knit! This pattern works for crochet, knit or Tunisian stitch. If you can match the gauge, your image will be true! Hand Made by Beth presents The Stickler Guide - a revolutionary new, simplified approach to graph patterning. The Stickler Guide takes what used to be an advanced concept in crafting and brings it to a level accessible to new crocheters and knitters. No more trying to read a graph - no more counting blocks and making notes to the side. The Stickler Guide has done the work for you so you can get straight to the fun part - creating your afghan! If you are a crocheter and changing colors is a new skill for you, there are two pages of detailed diagrams showing you how to do this. Thin Blue Line Badge Afghan Pattern - fun and easy for crochet OR knit! Star of Life EMT EMS Paramedic Afghan Pattern - fun and easy for crochet OR knit! St. Florian Cross (or Maltese Cross) Afghan Pattern - fun & easy for knit OR crochet! 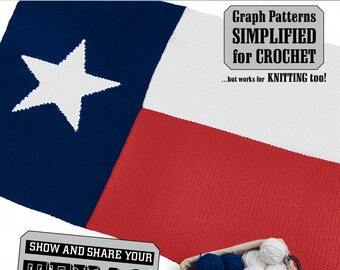 Republic of Texas - Lone Star State Flag Afghan Pattern - fun and easy for crochet or knit! Deep in the Heart of Texas Afghan and/or Wall Hanging Pattern - fun and easy for knit OR crochet! Pattern was easy to follow and worked up nice. I like that I have a chart and the number chart as well. Very easy to follow. Easy to follow instructions. .